Yesterday I was blessed with a beautiful gift in my mailbox!! 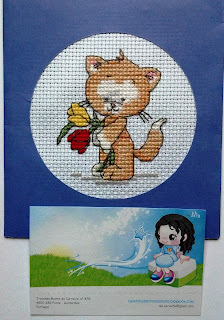 Nia from Caixinha de Pirlimpimpim spoiled me with a beautiful hand stitched card and a souvenir from her home, Portugal! Look at how cute this card is! And he's holding my favorite flowers...tulips!!! She also included her adorable business cards....that look just like her blog, isn't that little girl the cutest? 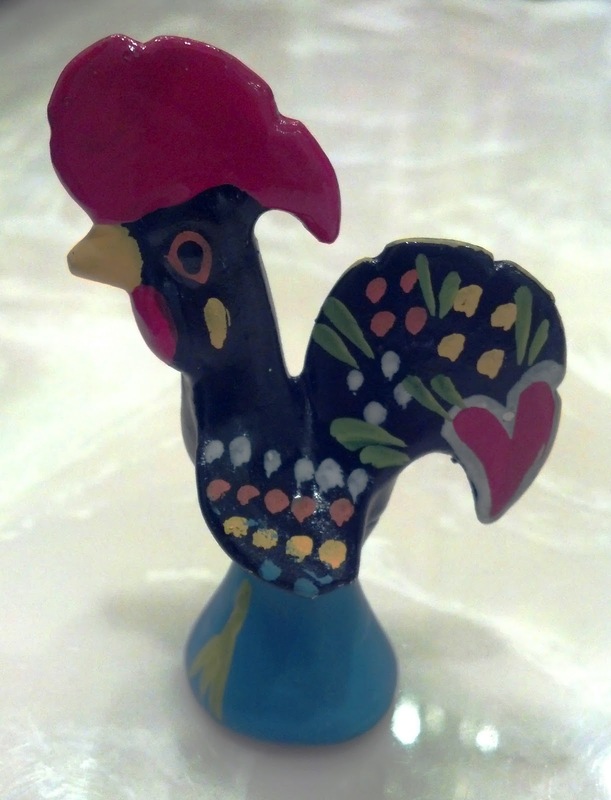 My Portugal souvenir is this handpainted Rooster of Barcelos. He is a legend/symbol in Portugal and there are many different versions of the history and story of him, one of which you can find here. This gift just brightened up my day...my week! We've had nothing but rain and thunderstorms all week, the tail end of the tropical storm I suppose...and this little rooster and card brought sunshine to my eyes. Isn't Nia just a doll!? So let's see...it seems I'm doing more giving away than I am stitching...hahahaha...which is fine by me because it is FUN!! The folks at My Memories, a digital scrapbook software company offered me a download of their software along with a download to give away to one of you!! Now I'm sure you're thinking...what the heck do you do with a digital scrapbook? If any of you are like me...you have folders and folders of pictures saved somewhere on your laptop, your smart phone...maybe even still on your camera!! Believe me, I LOVE the art of scrapbooking itself...but I just don't find I have the time to get any of it done (I blame my stitching! )...so this is a fantabulous alternative! They have nine...NINE pages of free themed kits you can download once you have their main software loaded! 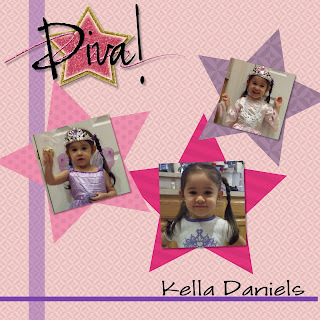 A themed kit means you can download templates for holidays, occasions, moods...you name it! Giveaway ends at midnight EST on Friday, June 8th....and I'll use Mr. Random Generator to pick out a winner! You'll receive $10 off the software, and the purchase will also come with a $10 coupon to buy kits! This is a fun giveaway.Have just been across to My Memories,what pretty kits they have. I love the seasons one because it is so colourful and a seasons theme could be used in so many different ways. A very lovely card! Good luck to those entering. I think I might have to abstain from this. I have promised my barely functioning Royal Pain of a computer I won't add any more software before properly cleaning it. You received great gifts from Nia, and thank you for sharing the history of the rooster ! Have been to the My Memories website for a quick look-see and my favourite would have to be either Vintage Rose or Kitty and Tweet. 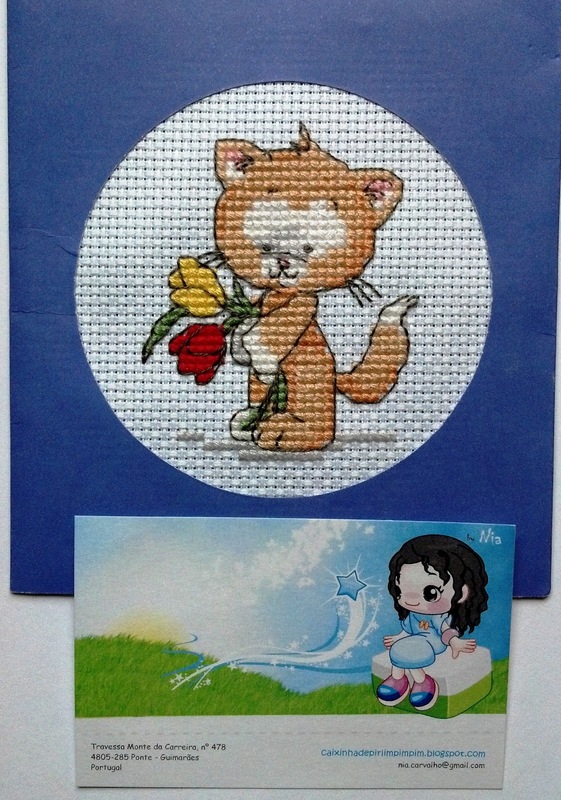 I love the colours in the Vintage Rose and kitty.. because I love kitties! So many gorgeous ones on the site. Lovely giveaway :o) My email address is part of my profile.